Christian Media in Nigeria : First Christian Suspect in Church Bombing? First Christian Suspect in Church Bombing? A Nigerian civilian self-defense fighter says his group arrested a Christian suspect who confessed to providing intelligence to Boko Haram extremists in the 2011 Christmas Day bombing of a Catholic church that killed 44 worshippers. Self-defense fighter Sani Musawa said on Wednesday that his group arrested Victor Moses and turned him over to the Nigerian military. 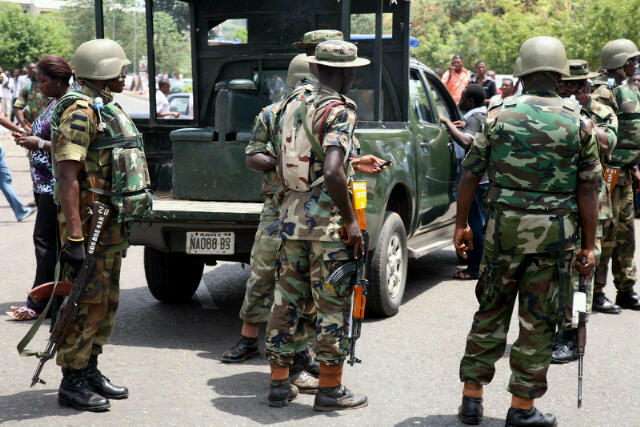 He may be the first Christian arrested for belonging to Nigeria's home-grown Islamic extremist group. Musawa said Moses was often seen loitering around a mosque in northeastern Bauchi town. He said Moses claimed he wanted to convert to Islam. Boko Haram has attacked many more mosques than churches. The mastermind of the attack on St. Theresa's, in central Nigeria, is serving a life sentence for the deadliest attack on a church in the 6-year-old insurgency.